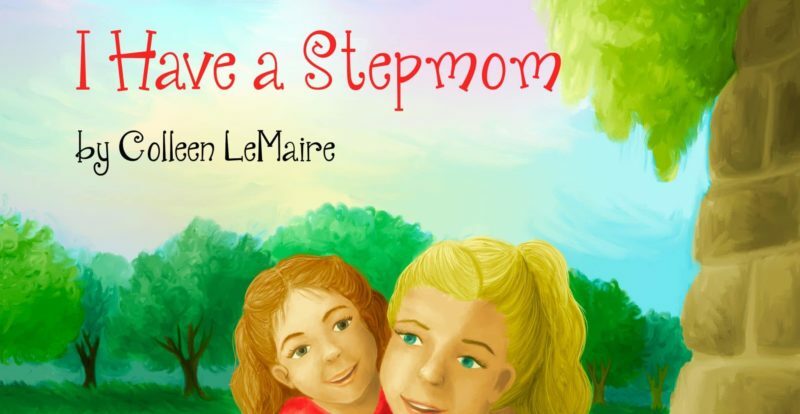 Children’s books author Colleen LeMaire writes stories for children of divorce. coParents read the books to their children to help them understand what happens when Mom and Dad divorce. This story is about having a stepmom. Once upon a time, my Daddy met a beautiful girl. He fell in love with her, and she fell in love with him. One magical day, my Dad asked her to marry him. She said yes! And she asked me to be her flower girl in the wedding! It was a wonderful wedding, and she is now my Stepmom. She lives at my Dad’s house, and when I am here, I get to spend time with her. A Stepmom is a very special person. I know mine sure is. She fell in love with my Daddy and makes him so happy. And then she fell in love with me too! A Stepmom helps Dad take care of the kids. And boy, my Stepmom does a great job. She helps give me my baths, and makes sure no soap gets in my eyes! She cooks me dinner and helps me eat healthy so I grow big and strong like Dad! What else does a Stepmom do? 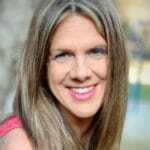 A Stepmom teaches. My Stepmom taught me how to write my name, and I learned how to make friends in our neighborhood by watching her do it. A Stepmom protects. My Stepmom hugs me when I get scared, and makes sure to hold my hand extra tight in big crowds! A Stepmom is a new member of the family. My Stepmom is part of my family, she loves me and my Dad so much, and we love her too! My Stepmom is very kind and is a great friend to me. Sometimes we have special GIRLS ONLY playdates together, and my Stepmom and I do something extra fun, just me and her! Sometimes she gives me and my Dad special alone time, too. I miss my Dad when I am not here, and my Stepmom gives me and him special time to be silly together. And other times, we do things as one big happy family. My favorite is family movie night in our pajamas! I’m a pretty lucky girl to have a Stepmom as great as mine. She will always love me, always help take care of me, and always be my friend. Pinky Promise.